1) Fully assembled welding helmet that is ready to use. 2) Auto darkening filter that darkens instantly after detecting the welding arc. 3) Three sensitivity settings on lens works for most types of welding. So, in a nutshell, it's an excellent high quality welding helmet. Grind mode is pretty nice, just don't forget to switch back, before you start welding again. Has multiple settings for darkness, and how long once an arc is struck, before the lens darkens. As far as comfort goes, sometimes i forget I'm wearing it. It has a nice knob actuated head strap, easy to operate even with gloves on. 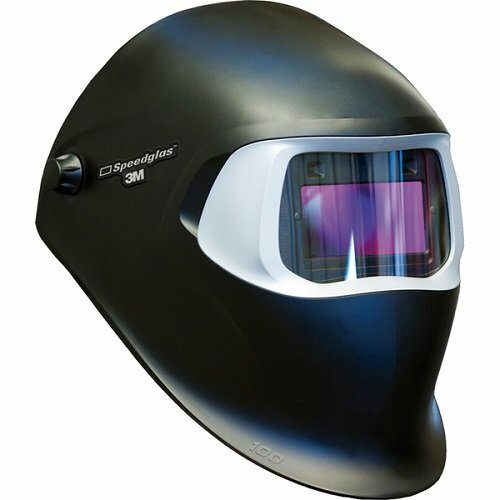 Pretty good face protection when welding and grinding, good coverage. Field of view is smallish compared to other helmets. What I don’t like about this helmet is that it only has 2 optical sensors to detect your arc. Unless you are welding in a lot of confined areas, and difficult position welds, this is not an issue. One of the 2 sensors will always be able to see the arc.